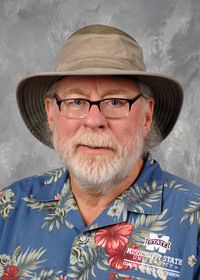 Spring has sprung, at least in my Ocean Springs landscape, and gardeners once again are venturing out and taking an inventory of plant damage from this winter’s cold. Performing this yearly garden task is easier when many plants haven’t started their new growth yet. 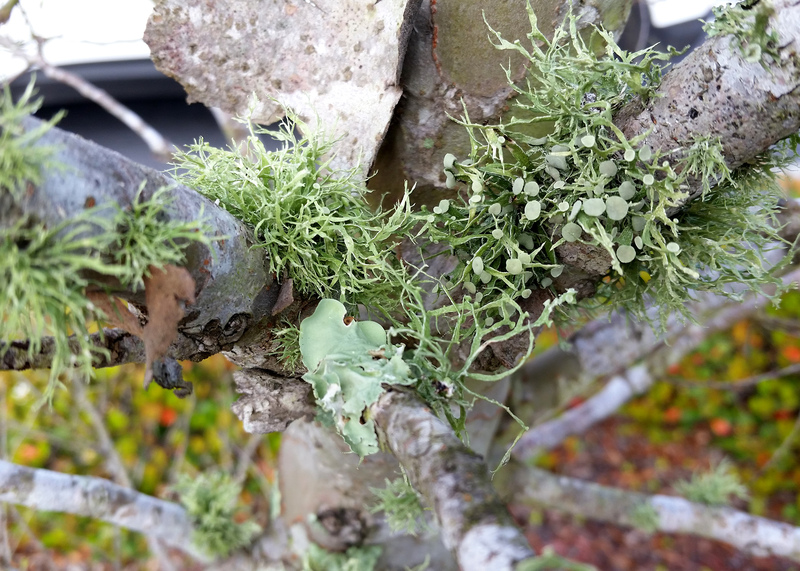 The gray-green, moldy-looking material is actually an organism called a lichen. Lichen is an unlikely combination of fungi and algae living in a symbiotic relationship on the plant’s bark. Algae supply food via photosynthesis, and fungi gather water and other needed nutrients. Lichens are very interesting organisms that are found throughout the world. There’s always lichen on tree trunks. Lichens use trees and shrubs only for support. When woody trees and shrubs are under some kind of stress, many of them begin to struggle. Most of these stresses are abiotic and environmental, such as drought or excessive heat. When the plants struggle, their canopies tend to thin and open up, allowing more light into the interior of the canopy. Lichens begin to grow as they start receiving more light. As trees and shrubs continue to decline, the lichen becomes more noticeable, giving the illusion that it caused the problem. As a result, homeowners think lichen is responsible for the tree and shrub decline. In fact, lichen grows on any hard surface outdoors, from wooden fences to rocks and even birdhouses. There are a few common types of lichens. Some are spreading and have a flattened, crusty appearance. Another lichen spreads across branches and develops wavy folds that resemble a crumpled sheet. Some resemble highly branched balls of fuzzy stuff with projections going out in all directions. Despite the varied appearances, they are all lichens. The combination of moisture and increasing temperatures creates the perfect environment for lichen growth. It’s interesting that, after a rain, the lichen can appear to actually bloom. Small, round structures appear and produce spores. So, how can the home gardener control lichen growth? There really isn’t any need to remove them. 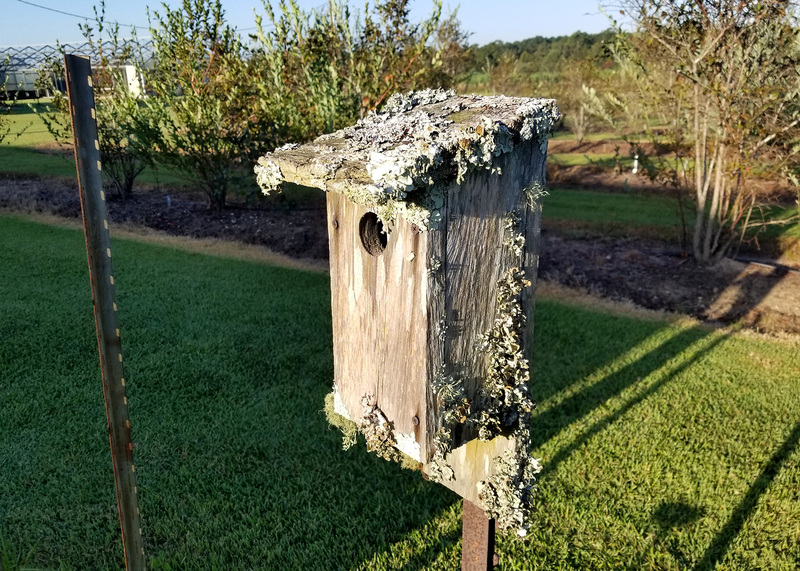 Lichens are naturally occurring organisms that opportunistically increase their growth as a tree canopy starts to decline. The very best solution is keeping landscape plants in optimum condition by following recommended watering, fertilization and other management practices. A healthy and well growing plant will have a canopy that discourages lichen growth. Light pruning of damaged branches encourages new branch growth, which, in turn, helps to establish a denser canopy. Just as a piece of metal garden art will mature and gain an aged patina, landscape plants gain a touch of patina when lichens begin to grow. And remember that lichens grow on hard surfaces outdoors. I’ve never heard anyone worried about lichen damaging a rock.